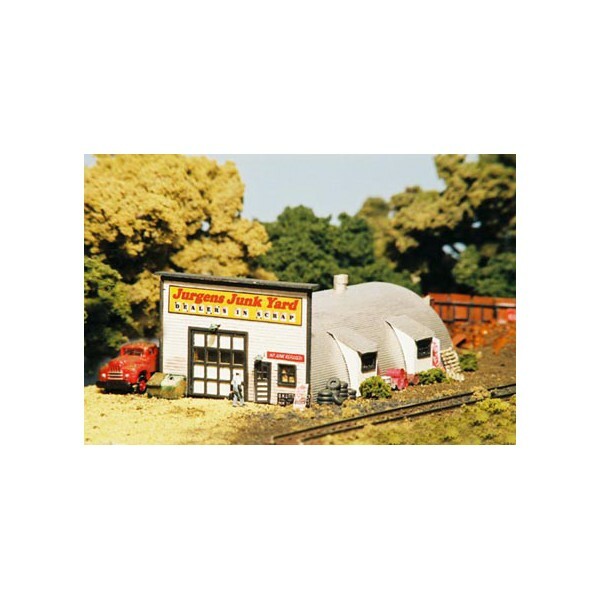 Every town has one by the tracks, the old junk yard scrap dealer working out of his post war Quonset hut. 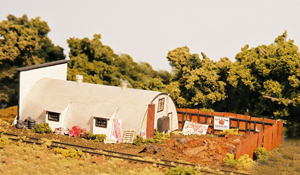 Now you can create the same scene on your layout. The kit includes precision laser cut wood parts and loads of extras including numerous Monroe Models designed white metal parts (lead free), a resin scrap metal junk pile, corrugated metal fencing, and vintage signs. All of this is packaged with easy to follow step by step "photo" directions.